The chances are if you were to get five different Search Engine Optimisation experts in a room together you would end up with six varied opinions as to what the right thing to do might be. Some would tell you that keyword research is essential. Others might say that link building is fundamental. Whereas another one could suggest that crafting the right URLs is important. Website owners are faced with this constantly conflicting advice as to the right thing to do. One moment you are told to do keyword research, the next minute you are told that is “old hat” and you should be doing something else entirely. Thankfully, research from Ascend2 shows what is really working in search marketing. The study found that search engine marketing experts tend to agree on what works best, even though there are plenty of different suggestions. It turns out that over three quarters of the search gurus claim that creating relevant content is the surest way of gaining SEO benefits. Only 16% of them believe that bothering about the URLs on your site is highly important. So, the study points the way to what you need to do with your website in order to gain search engine benefits. There is only one problem. The Ascend2 study also shows what the experts think is complex. Guess what? They agree that producing relevant content is one of the most difficult things to do. Only link-building is thought to be harder. The marketing experts agree that structuring a website’s URLs is the easiest thing to achieve, yet it is likely to have the least impact. The most effective method of search engine optimisation is deemed to be one of the hardest to do. Is it any wonder, therefore, that many websites fail to create enough good and relevant content? It is hard, so they seek out easier methods such as social media. That is nice and easy to do, but actually has relatively low impact on search results. Marketers feel as though they are achieving things when they use social media because they can see activity. The problem is that activity is largely ineffective. Some search marketing techniques like social media create an illusion. They can produce some success, but that success is not as effective as writing more relevant content. Once again, this study shows clearly that if you want your website to be noticed online you have to concentrate on publishing great content. That’s not so strange – the web is a publishing medium, after all. 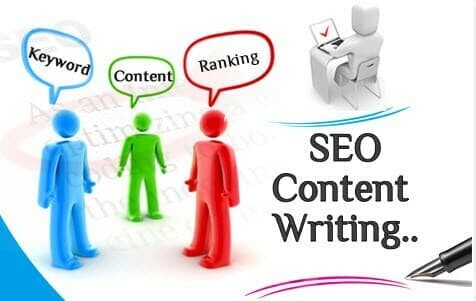 So the more you treat your web activity as a publishing process, the more you will succeed with search marketing. Perhaps creating relevant content is difficult for many websites because the companies do not treat it as a publishing exercise. If you do, then you employ the right kind of people and use publishing techniques that mean content production is no longer seen as difficult.